Is contemporary continental philosophy making a break with Kant? The structures of knowledge, taken for granted since Kants Critique of Pure Reason, are now being called into question: the finitude of the subject, the phenomenal given, a priori synthesis. Relinquish the transcendental: such is the imperative of postcritical thinking in the 21st century. Questions that we no longer thought it possible to ask now reemerge with renewed vigor: can Kant really maintain the difference between a priori and innate? Can he deduce, rather than impose, the categories, or justify the necessity of nature? Recent research into brain development aggravates these suspicions, which measure transcendental idealism against the thesis of a biological origin for cognitive processes. In her important new book Catherine Malabou lays out Kants response to his posterity. 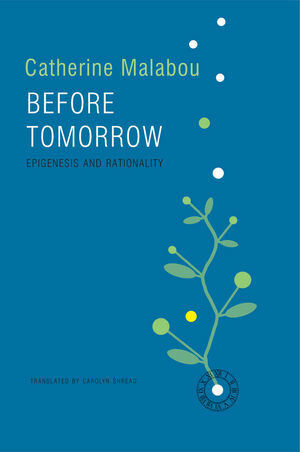 True to its subject, the book evolves as an epigenesis  the differentiated growth of the embryo  for, as those who know how to read critical philosophy affirm, this is the very life of the transcendental and contains the promise of its transformation. Chapter 14: Can We Relinquish the Transcendental?